You have probably been receiving lots of emails from companies notifying you of updates to privacy policies because of changes to EU data protection laws. 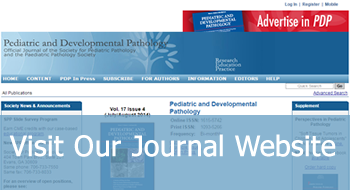 This section describes how the Paediatric Pathology Society (PPS) handles your information and what steps you can take to have it removed from our database. Your personal information is stored on our database for PPS purposes only. The PPS will use your details to contact you via email regarding upcoming meetings & events or messages regarding your membership. *Members who have subscribed to receive the Journal at their work or home address will have their details passed to the Journal publishers.